Game 4 of a seven match Rugby League series against the 13 Warriors. After public holidays and tempting offers to fly all around Asia many Cru stalwarts were back, and we had high hopes of tying the series 2-2. A hope that was further raised after scoring the first try, and leading the Warriors 18-16 at half time. Three unstrategic injuries, however, put all hopes to shame and the Warriors soared to an easy win, after taking the second half 30-0. Mercilessly exposing our thin bench, the opposition ran through our lines with many of our guys playing out of their normal position. Once Skurry recovers his ankle, Paul from his pec injury and Travis from hangover (I knew we should have kept him drunk!) the Warriors had better watch out for the return of the Giants/Crusaders. 3-1 down in the series, but far from given up. 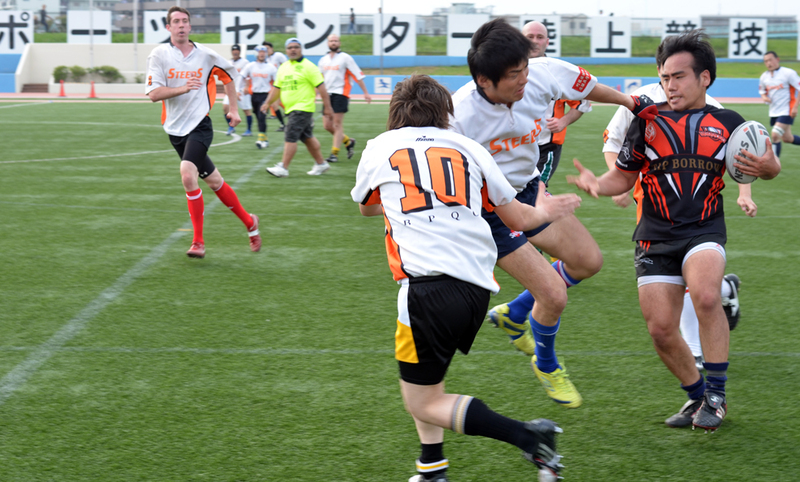 Next game will be played on 21 July at Edogawa. Do I smell comeback in the air?